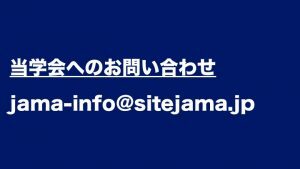 The Japanese Association of Management Accounting (JAMA), founded in 1991, is the premier academic organization devoted to the study and promotion of knowledge about management accounting. The Association is a voluntary organization of individuals interested in management accounting research and education. With approximately 750 members, JAMA’s members are faculty members at colleges and universities, researchers, professionals, and students. As the academic organization of management accounting, JAMA, through its Executive Committee, is well positioned to provide a unique set of services to its members and to promote the vitality, visibility, and diversity of the discipline. Working at the national and international levels, the Association aims to articulate policy, and implement programs likely to have the broadest possible impact for management accounting now and in the future. Full Member* (1) Persons engaged in research and education of management accounting or a related field in a university, junior college, or a vocational school. (2) Specialists, such as a certified public accountant and a licensed tax accountant. * Only full members have the right to elect or the right to be elected in the election of officers. At least one of the authors of any manuscript submitted must be a Japanese Association of Management Accounting (JAMA) member. Only original manuscripts will be accepted and copyright of published articles will be vested in the JAMA. All manuscripts should be formatted in 10.5-point font on A4 paper. Manuscripts should not exceed 7,000 words (including endnotes, references, supporting exhibits and any appendices). The top and bottom margins should be 35 mm and 45 mm respectively, whereas the left side and right side margins should be 24 mm. To promote anonymous review, authors should not identify themselves directly or indirectly in their manuscripts. Single authors should not use the editorial “we”. A cover page should show the title of a manuscript, all authors’ names, titles and affiliations, email addresses, and any acknowledgements. PDF file is used for peer review and start from the first page of the text (i.e., do not include a cover page). The first page of the text should include the title of the manuscript, authors name, abstract and key words. An abstract should not exceed 150 words and provide a statement of the purpose and procedures of the study, including major conclusions of the research. The abstract must be followed by around five key words to assist in indexing the manuscript and identifying qualified reviewers. Headings should be arranged so that major headings are formatted in 16-point font, centered and bold. Second-level headings should be formatted in 14 point font, flush left and bold. All pages should be serially numbered. Tables, figures and equations should be numbered sequentially either throughout the manuscript using Arabic numerals. They are referred to in the body of the text as, for instance, Table 7, Figure 4, Equation (5), etc. All tables and figures should be inserted as close to the textual reference as possible. Horngren, C.T., G. Fostrer, and S. M. Datar. 1997. Cost Accounting－A Managerial Emphasis. 9th edition. Englewood Clifs, NJ: Prentice Hall. Palepu, K.G., V.L. Bernard, and P. M. Healy. 1996. Introduction to Business & Valuation. South-Western. Manuscripts submitted to the journal will be initially screened by the editor-in-chief, to determine its appropriateness. Only those manuscripts considered appropriate will follow a double blind refereeing process, where reviewers and authors remain anonymous throughout the review process.